I painted this in my home studio in Oregon. Sometimes I like to include picture books of great masters with my still life setups. 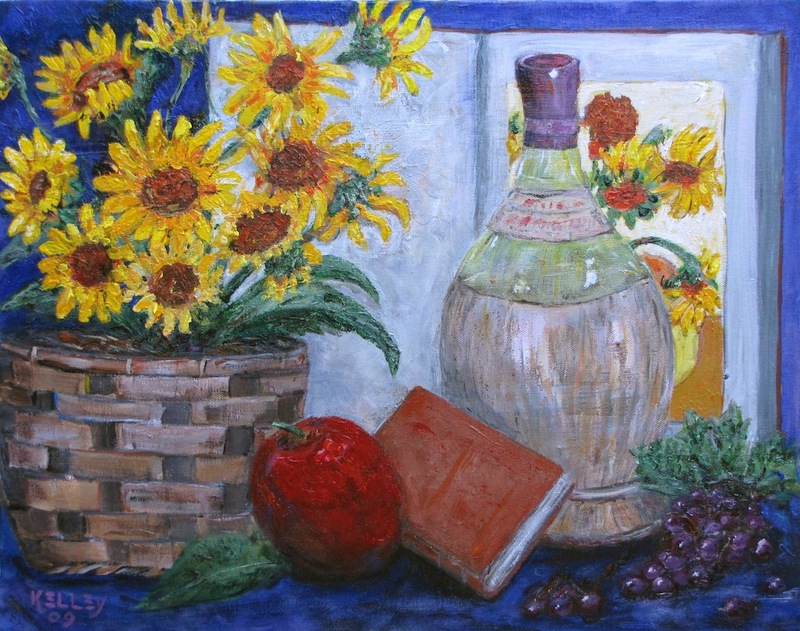 The book features one of Van Gogh’s famous sunflower paintings. Details:Acrylic on Stretched canvas. 16 x 20 inches • 40.6 x 50.8Price:In a private collection in Redding, California.